Before making the decision to upgrade your home’s climate control system, contact Brilliant Electric to troubleshoot the heating and air conditioning circuits in your home. 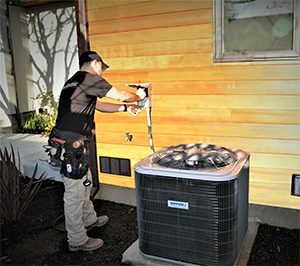 Dedicated circuits for the heating and air conditioning often wear out and need replacement. Brilliant Electric can work with your HVAC contractor to install new power for your air conditioner or furnace.